The Royal High Jinx write, play and sing music inspired by European traditions, shaded with gypsy jazz and a pinch of classical virtuosity, while sporting a spectacular wardrobe combining dapper suits and burlesque exuberance. 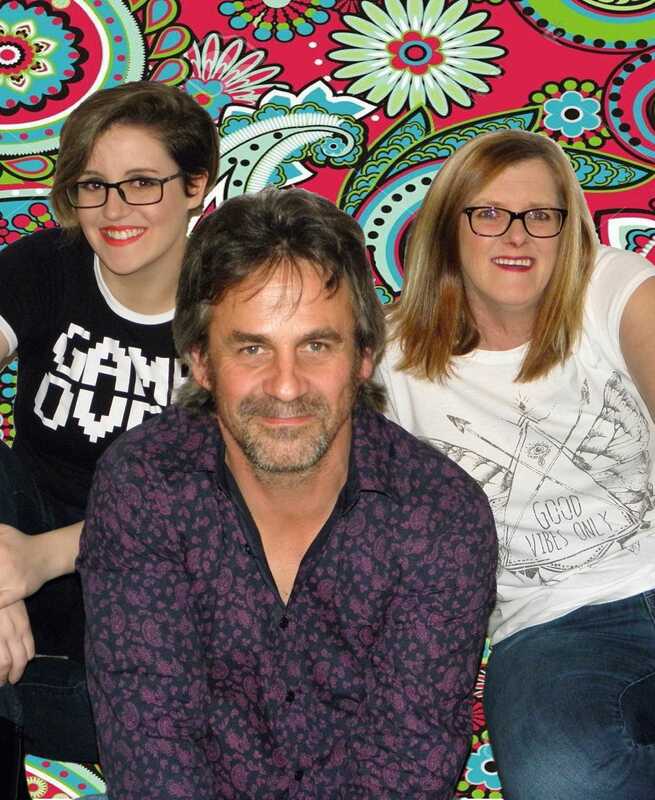 Sarah (Violin), Silas (Piano, Drums), Jen (Guitars) and Terry (Mandolin) formed the band in Melbourne Australia in 2014 as a way to explore their musical roots and bring their favourite spicy instrumental music and classic continental standards into the modern age. Their most recent album “Wheel of Poor Choices” was released in March 2017. It features their most popular tunes from their live shows and captures their enthusiasm, craft and cheekiness. 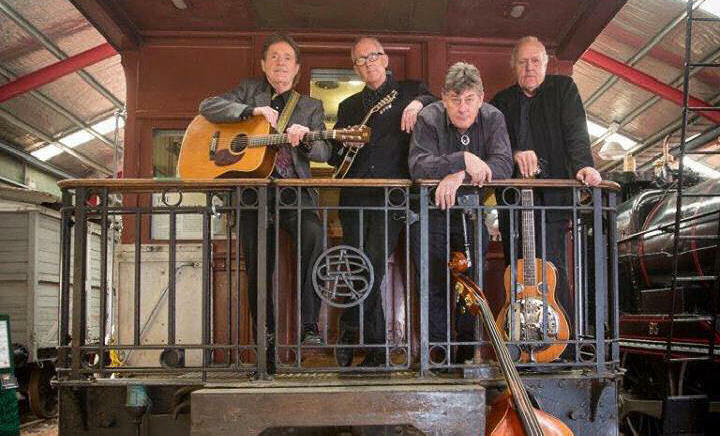 A top bluegrass band based in Adelaide, The Crooked Road boys have come together to play original music that combines the bluegrass tradition with contemporary flair. In their long history with bluegrass in Australia and New Zealand, Crooked Road have toured widely and recorded many albums with artists from around the world. Crooked Road are: Phill Parker on guitar and vocals, Andrew Hook on vocals, mandolin and guitar, Dave Taylor on vocals, double bass and guitar, Leonard Cohen on vocals and dobro. 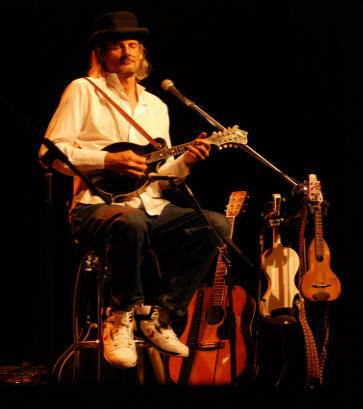 Andrew Clermont is a chameleon multi-instrumental musician from bluegrass to Indian, Scandinavian to old time. He is a 3 time Bluegrass Guitar Champion and a Director of the Golden-Fiddle Awards in Australia! Jude enjoys performing as a violinist and singer in a variety of musical ensembles in the Great Southern region including Heartstrings and the Heartstrings Jazz Trio. 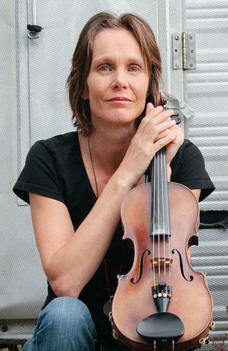 She has performed at Fairbridge Folk Festival and national folk festivals including Tamworth, Woodford and Yarra Junction. In 2015 and 2016 Jude featured at Tamworth’s Golden Fiddle Awards. Stumpy Gully is a fun band that was formed to support community events and raise funds for local charities and community groups. The group plays a mix of bush, folk and bluegrass often interrupted by spontaneous outbursts of bush poetry or lively banter. 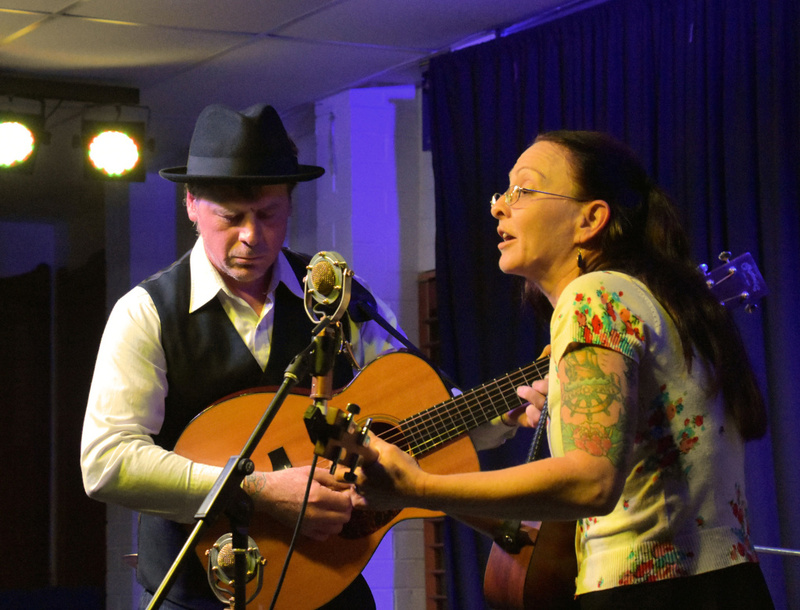 Slim Dime are Jen Land and Chris Taylor, an exciting acoustic duo featuring old-time mountain sounds, seamless harmonies and some mighty-fine pickin’. They make music that sounds as though it’s always existed somewhere on a mountaintop. Jen and Chris reference the old time and bluegrass repertoire and write original story telling compositions with a broad emotional range and precise musicianship. Their music makes you want to lean in and listen. Festival appearances include: Mountaingrass Festival of Bluegrass & Old Time Music 2017, Cygnet Folk Festival 2017, Wirrina Bluegrass and Acoustic Roots Festival 2016 & 2017, The Kelly Country Pick 2016 & 2017, The Great Alpine Pick 2015, 2016, 2017 & 2018, Foggy Mountain Bluegrass Festival 2015, 2016 & 2017, Yarra Junction Fiddlers Convention 2017 & 2018, Guildford Banjo Jamboree 2017, Mount Beauty Music Festival 2016, Happy Wanderer Festival 2016 and Dorrigo Folk & Bluegrass Festival 2016. Family group Glenn, Andrea and Morgaine Delahoy have a unique sound and style which never fails to delight. Their timing and harmonies, supported by Glenn’s guitar are a wonder to behold. 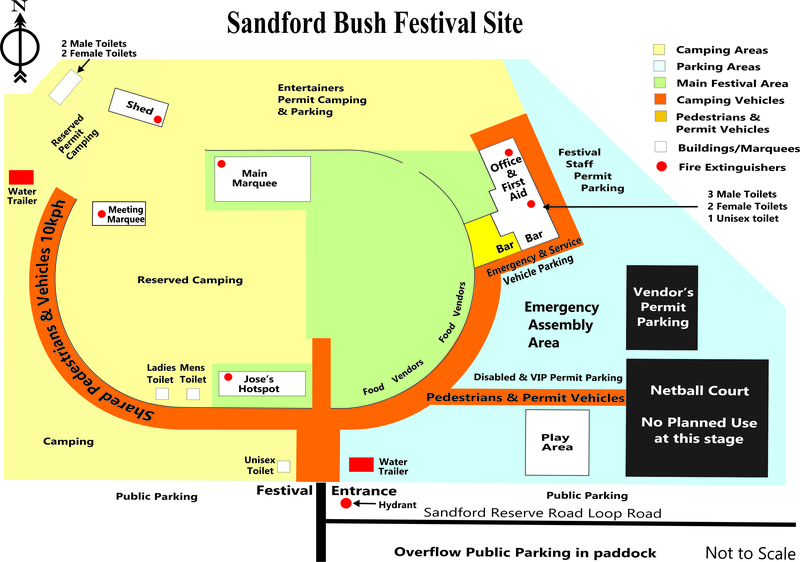 Multi instrumentalist, singer, songwriter and bush poet, Andrew will co-host the Poet’s Breakfast on Saturday morning. As a 3 year old Sarah went missing at a festival and eventually turned up in a costume on stage. Apparently she had gatecrashed a group preparing for their act and they didn’t have the heart to chase her away. She still loves to perform but these days she doesn’t have to gatecrash other people’s acts. Sarah sings and plays piano/keyboard at pubs, clubs, corporate events and parties. Adelaide Hills-based In Your Dreams String Band bring a refreshing line-up of traditional and modern tunes. 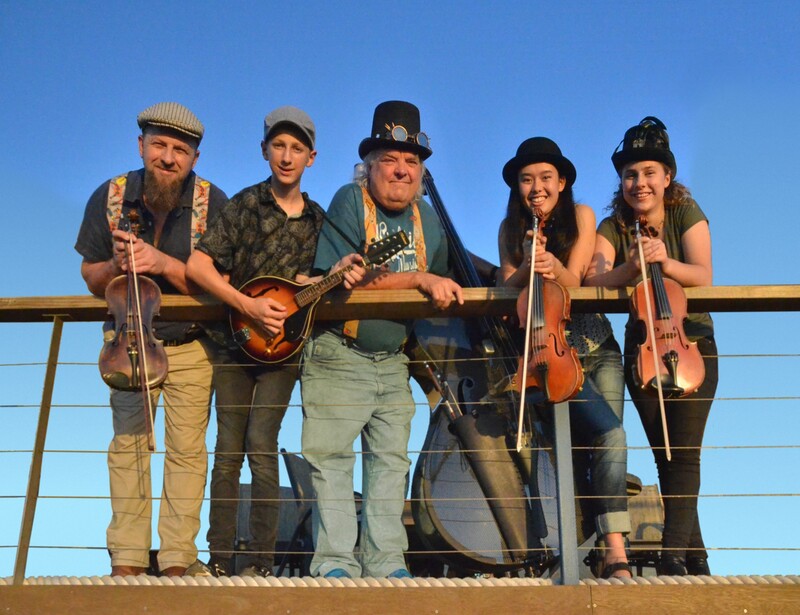 Spanning genres from Scottish to Irish, Old-Timey and Bluegrass, their repertoire never fails to get the toes tapping and has been known to inspire joyful outbursts of dance. In Your Dreams regularly perform as part of the Adelaide Scottish Fiddle Club and are fresh from recent performances at the Frances Folk Gathering, Palmer Open Mic Night and busking on street corners. Whilst embracing a variety of styles, Jose has never forgotten his folk and country roots. “Music is for everyone” he says and so he becomes somewhat of a “musical evangelist”, running jam sessions, playing in various bands and promoting music participation wherever he can. If you like John Denver and Johnny Cash there is a good chance you’ll like Jose. Luke is a singer-songwriter with a powerful bass voice accompanied by acoustic guitar, varying in style from folk to country and rock. 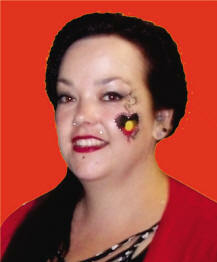 Currently living in Melbourne, he grew up in Gippsland and has worked for many years in the Northern Territory. With carefully crafted lyrics delivered in rousing anthems and contemplative ballads, his songs range from Australia’s First Peoples to rural communities battling miners, and some light-hearted commentary on modern life. 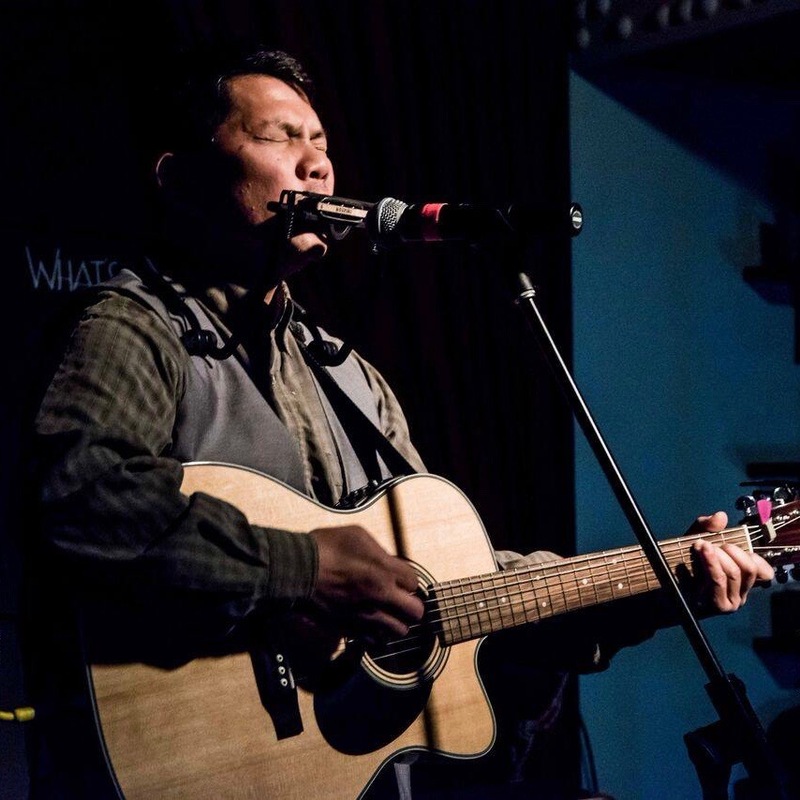 He also enjoys covering artists such as Redgum, Shane Howard, Eric Bogle and Johnny Cash. 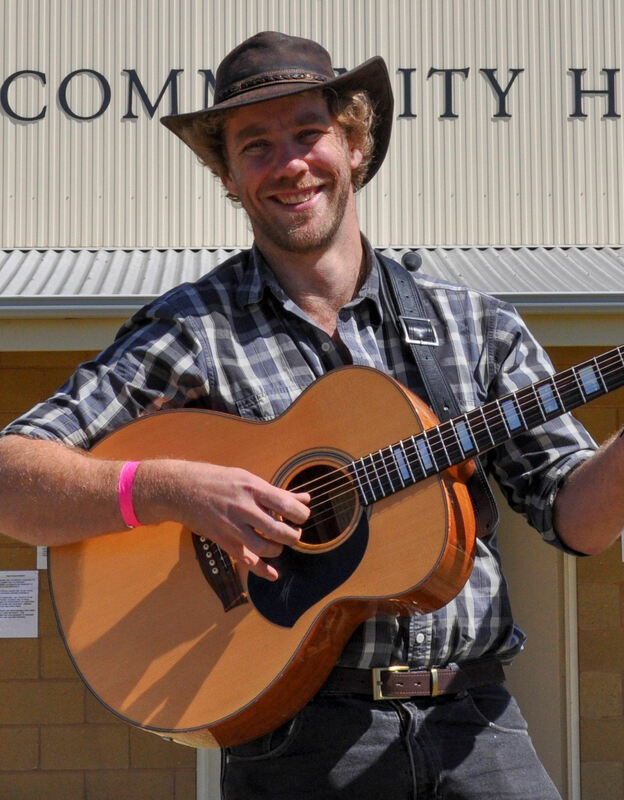 Luke has recently appeared at the Uranquinty and Tamar Valley Folk Festivals and is currently recording an album. 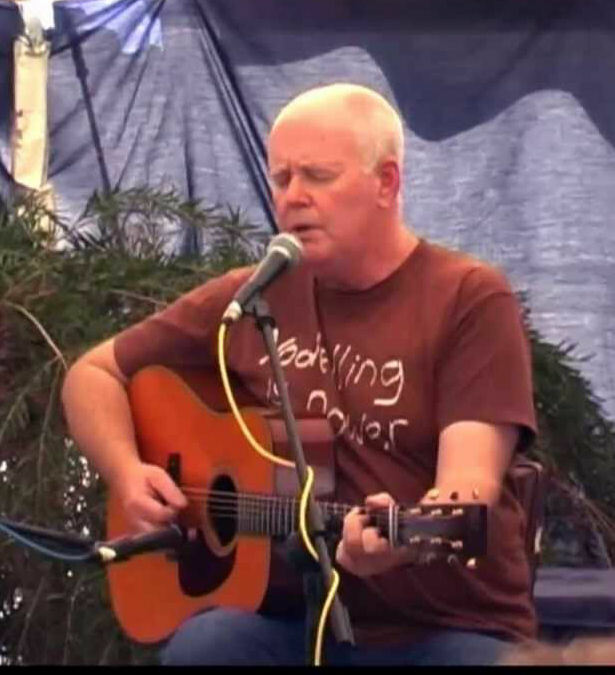 Paul Wookey has been a distinctive singer and songwriter since he first discovered the music of Woody Guthrie and Bob Dylan and was inspired to pick up a guitar and emulate his heroes. Over many years he has honed these skills to become a polished performer and has toured extensively throughout Australia and overseas. A regular performer at folk and country music festivals, he won the prestigious Best New Artist Award at the Tamworth Country Music Festival in 1981 in recognition of the quality of his first album, “Mountain Breakfast” distributed through EMI. Paul’s music is not easy to classify, sitting somewhere between folk, blues and country music with a more or less even distribution of Irish, American and Australian influences. What counts, of course, is the quality of his performance and this has been recognized and acclaimed at concerts, on radio and at festivals over many years. “Acoustic ripples upon a sea of imagination.” Beautiful traditional and original music that has stunned audiences wherever they’ve played. Barbara’s ethereal soprano voice combines with Jose’s earthy baritone vocals to produce an amazing blend filled with texture and passion. 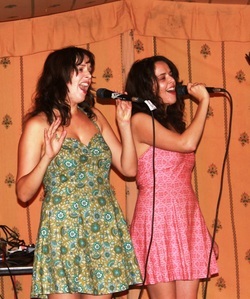 Identical twin sisters Alanna & Alicia have toured the Australian festival circuit, charming audiences with their original folky/jazz/roots songs, sweet harmonies and onstage warmth and fun. 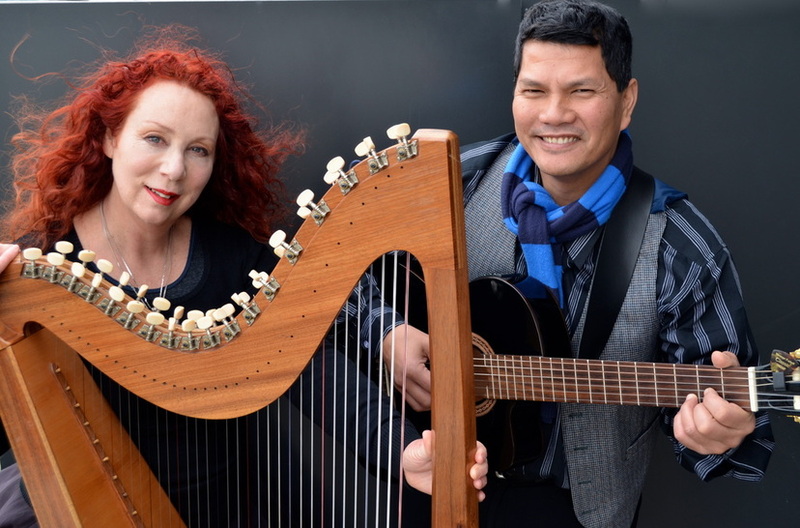 Both are gifted songwriters who have won awards at the national level and their lyrics, equal parts heart and humour, sparkle with an original, intimate voice. They will sing songs from their beautiful new album ‘Songs I’m Singing with Me’, a tribute to Australian troubadour, John Beavis and named in the National Folk Festival’s Best Albums of 2017. They will also sing songs from their previous original albums, ‘Twinlines’ (2013), ‘Two in a Book’ (2010) and ‘Funny She’s So Much Like Me’ (2006). Just a bunch of crazy hombres playing bluegrass. 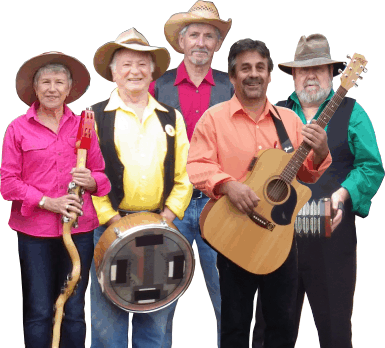 Jose and The Amigos grew out of jam sessions, festivals and chance meetings to form a fun and entertaining presentation of bluegrass country music. Yee haw!